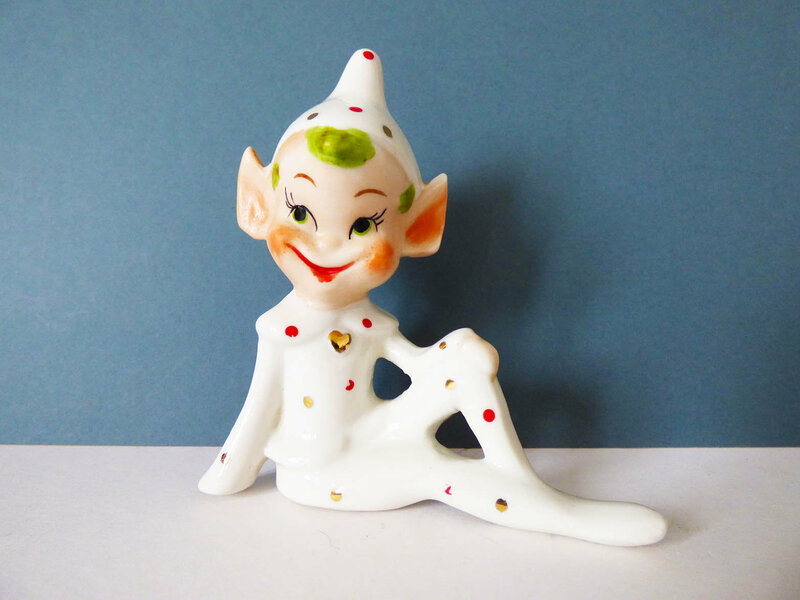 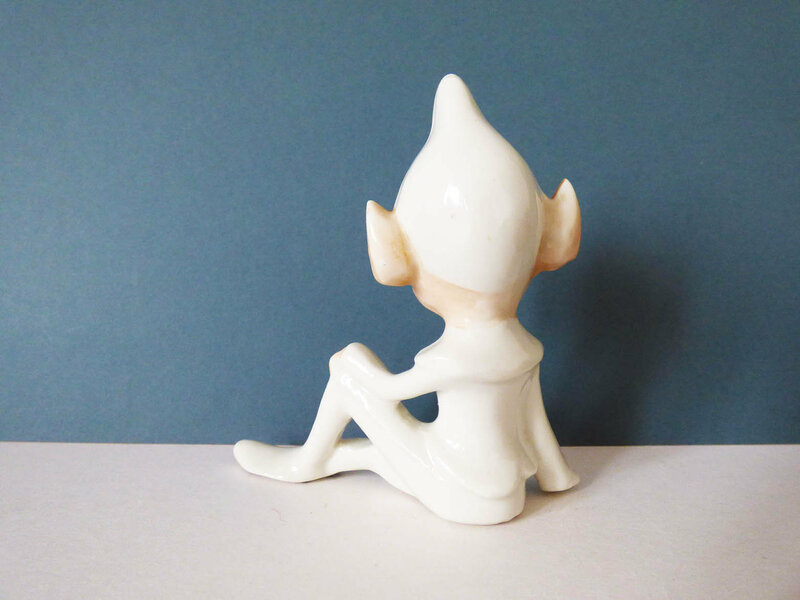 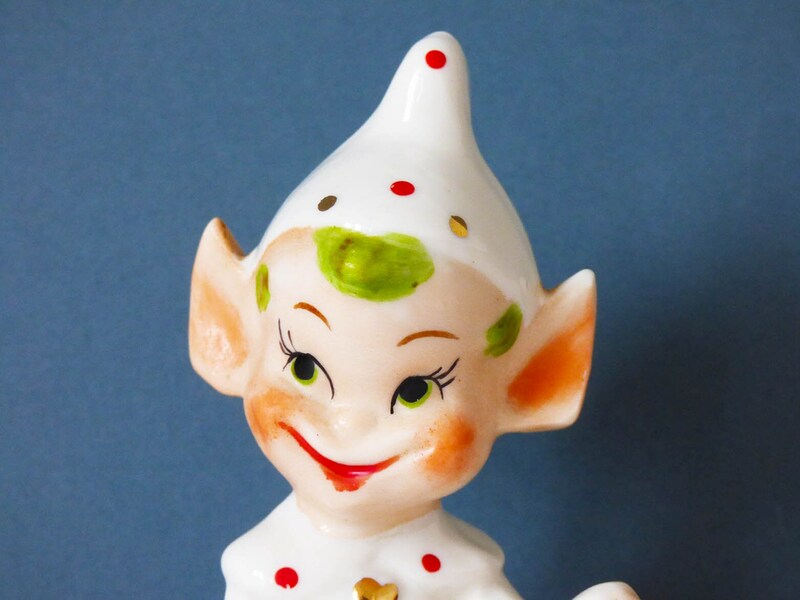 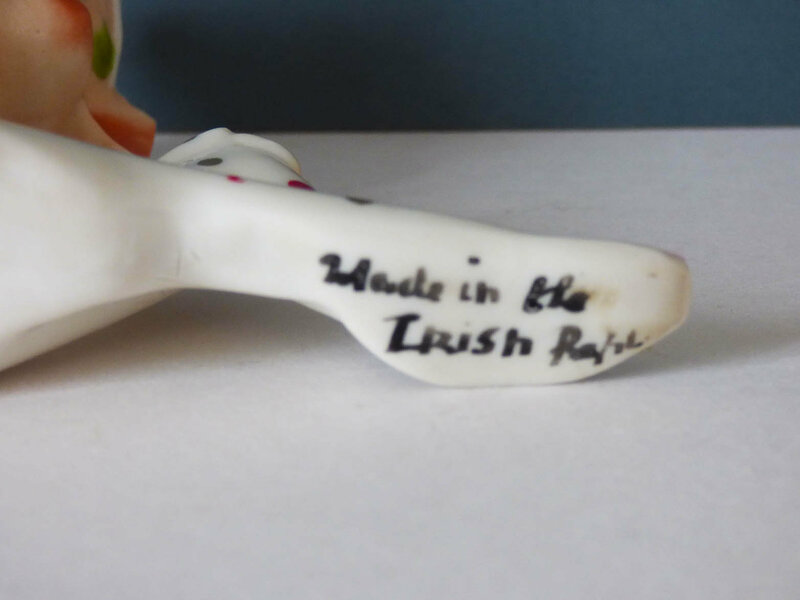 Beautiful ceramic Pixie or Elf, to the base he is marked made in the Irish Republic, so I'm guessing he's a Pixie. 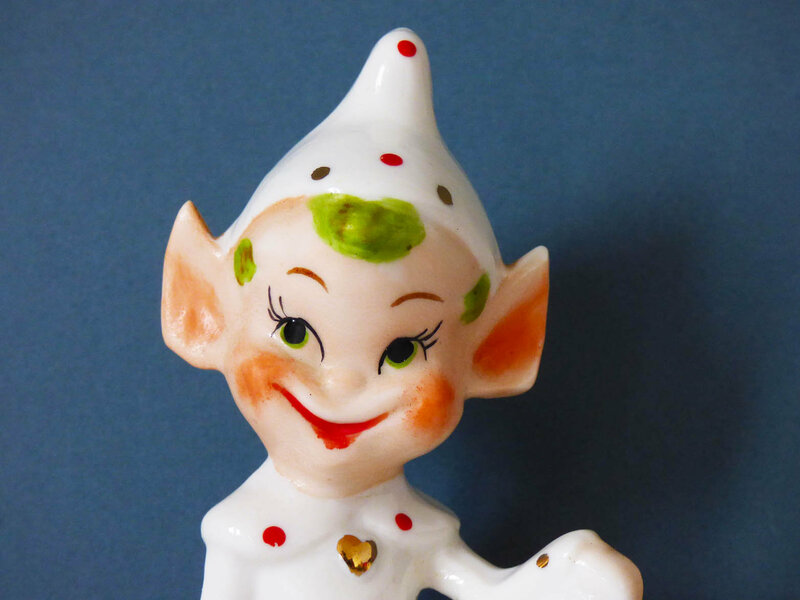 He looks too young to be a leprechaun. 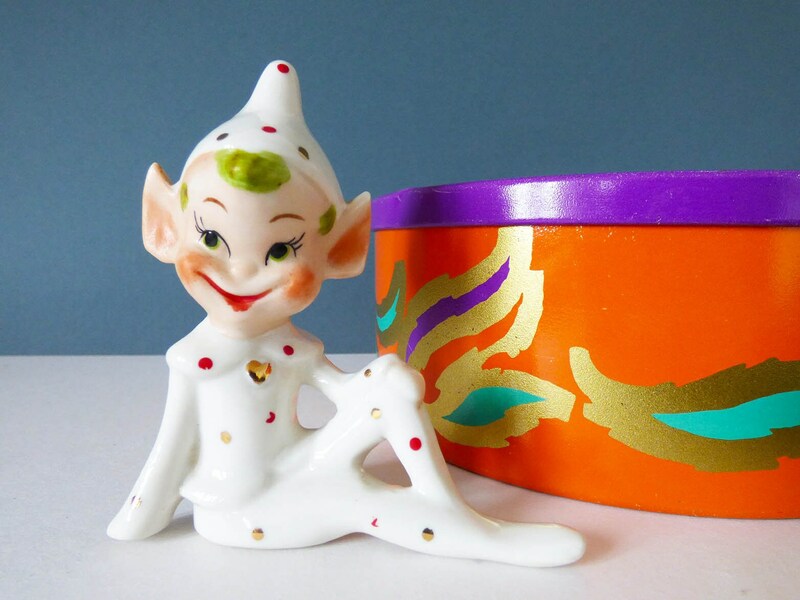 This lovely pixie sits 10 cm tall and 9.5 cm wide, the main part of his body is white with red and gold dots, his face is painted with rosy cheeks and a big red smile, and he has painted green hair. 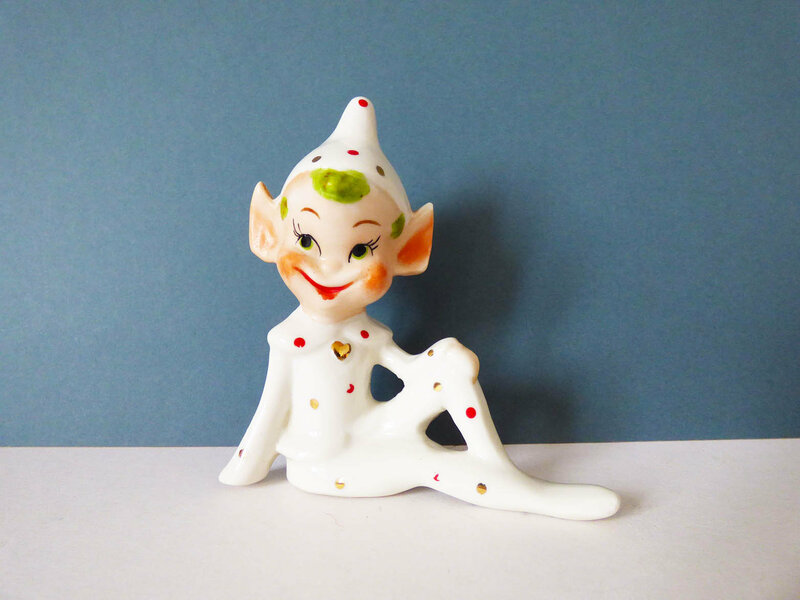 A really unusual piece, whether you love pixies, folklore, or are a collector of whimsical things.